Yesterday my new friend in San Miguel, Donna Myers, sent me a challenge via FaceBook. The assignment is that each day, for the next 30 days, I will give a reason for why I love living in Mexico. I have been here in San Miguel for 2 1/2 months and will be traveling in other parts of the country for the next 3 1/2 months. This trip is an exploration, not just of Mexico, but of a new way of living. Fred and I have fallen in love with San Miguel, and have already rented a house here for 6 months next year. So I hope that those who have seemed to enjoy the photos will go a little deeper with me for the next 30 days as I tell you why I love living life in Mexico. REASON NUMBER ONE. NO BAGGAGE. Not to imply that we are traveling light. The back of the Rav 4 we are driving is pretty full. You need a bit of stuff to travel for 6 months. 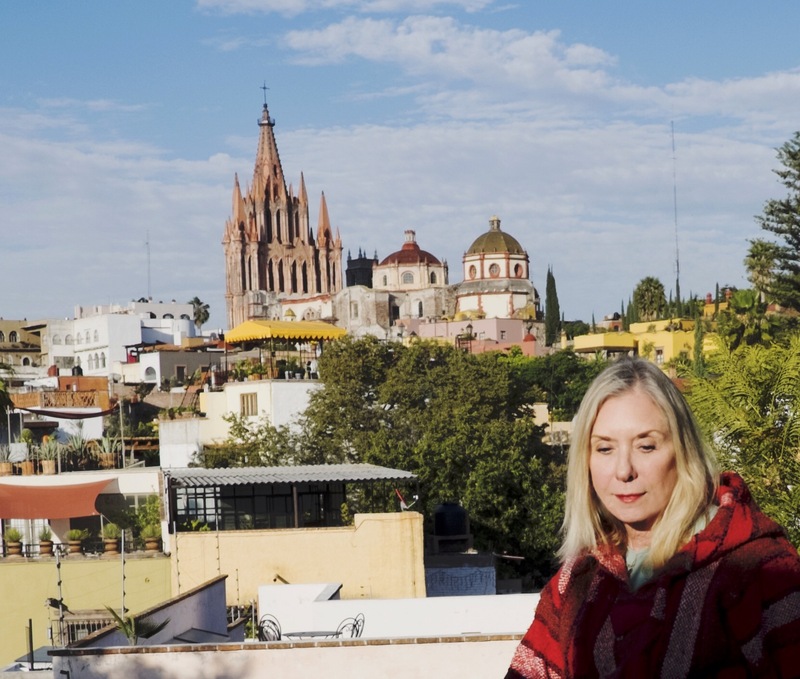 What I mean is that when I am in Mexico, I feel that my identity is solely defined in the moment. It has nothing to do with what I did for a living, my accomplishments, or any preconceived notions that someone may have of me. I am also learning to free myself from expectations that are self-imposed. I feel very anonymous here, and I like that feeling. I have started to realize that life is like a play, except there is no dress rehearsal. As I enter the third act of this play called My Life, I would like to recreate myself a bit, and to truly feel that I have turned a page. I want my days and experiences to be new. I want to feel a sense of adventure, and being in Mexico provides that opportunity.